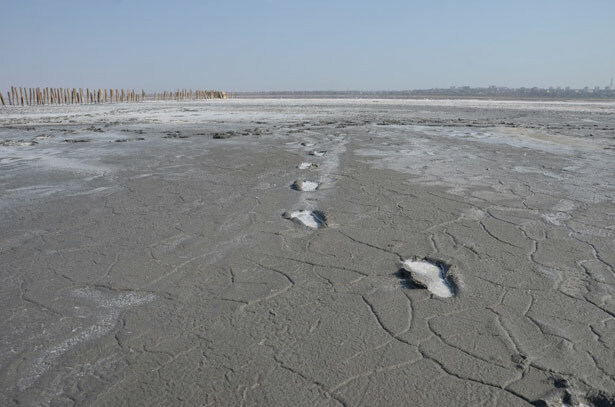 Standing in the dry bed of Kuyalnik Estuary, Alexander Nikolaevich, head of transportation at the local sanitarium, is desperately looking for mud. It is already September, but the summer heat would not let up, the midday sun harsh and relentless. Much of the water in the estuary has evaporated, exposing a wide expanse of flat, clayish bottom encrusted with snow-white salt and the crooked wooden pilings of old jetties. The sanitarium’s small cargo boat, used for dredging medicinal mud, has been hopelessly beached, its clamshell bucket hanging open in rigor mortis. An amphibious armored vehicle that sank two decades ago has now resurfaced. It is a surreal landscape—a scene straight out of the movies of Andrei Tarkovsky. Kuyalnik Estuary—or liman, as it is commonly known in Russian—is a large brackish lake on the eastern outskirts of Odessa that was once connected to the Black Sea but now exists as its own separate body. 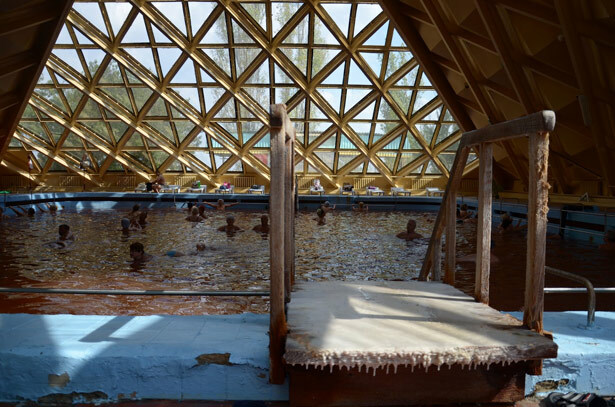 For almost 200 years, it has also been the site of an illustrious health spa, Kuyalnik Sanitarium, famous for its medicinal mud and salty water (rapa) throughout the reaches of the Russian Empire, later the Soviet Union and now Ukraine. Each summer, thousands of people from all walks of life come to seek relief for various kinds of ailments: bone and joint pain, skin diseases, gynecological issues. 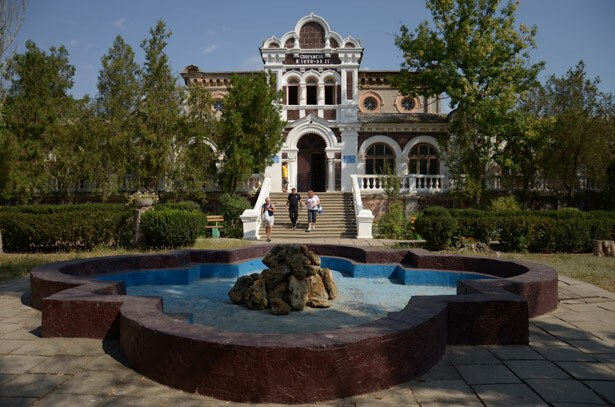 Some undergo procedures in the pools and bathtubs of the sanitarium, while many others, including Odessa locals, just wallow in the shallows of the lake, smearing black, mineral-rich mud over their hands and legs. This year everything changed. 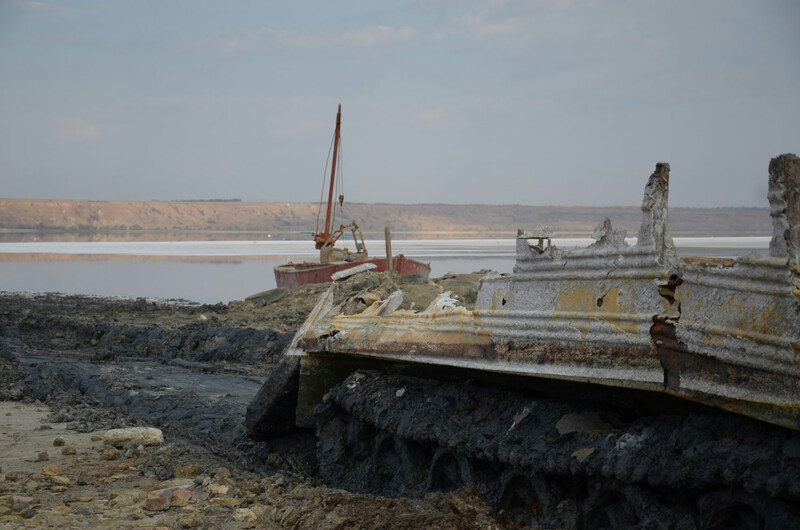 With almost no precipitation and prolonged spells of heat that many here see as the results of an altering climate, Kuyalnik has lost much of its original volume, exposing to the air large salty areas that were previously hidden underwater. The only river flowing into the lake has nearly dried up because of heavy agricultural use and illegal sand mining. As a result, Kuyalnik’s salinity has risen drastically, to more than 300 practical salinity units (psu), comparable to that of Jordan’s Dead Sea, or nearly ten times the average salinity level of the world’s oceans. Many of the organisms that previously thrived there, like the brine shrimp artemia salina, have virtually disappeared, and along with them the tens of thousands of birds for whom the lake was an important food source and nesting haven. Strong winds carry dry salt into nearby farmland, destroying its productivity. Kuyalnik Estuary, Ukraine’s lowest point, is eerily empty and silent today. The boat crew that gathers medicinal mud for Kuyalnik Sanitarium has been left stranded. “Kuyalnik is a very unique place in Ukraine, but it’s on the brink of ecological disaster,” says Ivan Rusev, a biologist and a prominent environmentalist from Odessa. 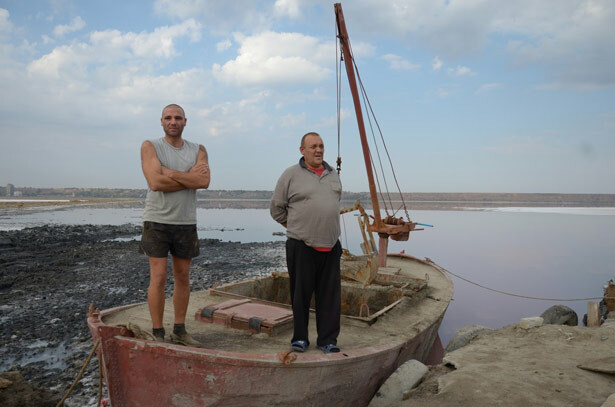 Rusev, who began his career in the 1980s by studying the Aral Sea—formerly the world’s fourth-biggest lake, which was nearly destroyed by Soviet agricultural and river-diversion projects—sees many parallels with Kuyalnik Estuary: water scarcity, enormous increase in salinity, devastation of viable ecosystems. Together with a group of scientists and activists, he is fighting to designate Kuyalnik a national park and try to save what is left of it, but powerful lobbies with interests in construction stand in opposition. There are also plans to connect Kuyalnik by pipe to the Black Sea, three kilometers away, to bring in additional water, but the project has not been completed yet. 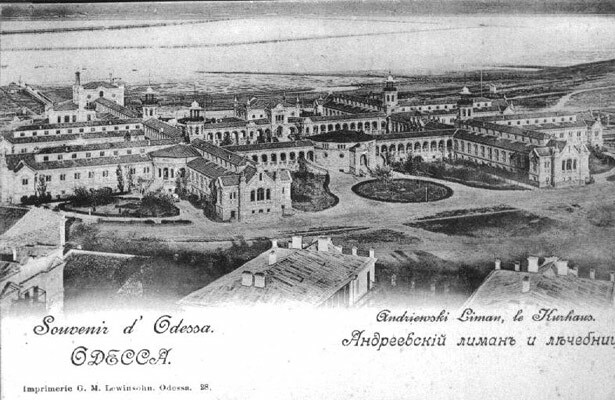 The old, nineteenth-century building of Kuyalnik Sanitarium. Climate change has not bypassed this sanitarium near Odessa, but neither has the war still continuing in the eastern parts of Ukraine. The Kuyalnik complex now houses more than 300 refugees from as far as Donetsk, Lugansk and Mariupol, cities where military operations have claimed casualties among the civilian population. Many of the refugees—who prefer to euphemistically call themselves “temporary settlers”—are here because they have limited mobility or use wheelchairs. The sanitarium provides them with free lodging and food, as well as all necessary medical procedures. It is a somewhat peculiar situation: health tourists and war refugees living together, side by side. The main saltwater pool at Kuyalnik Sanitarium. Kravchenko is not giving up, despite the difficulties. Surrounded by environmental degradation and war, bound to a wheelchair, he has preserved his spirit. Along with several other refugees with disabilities, he recently organized a wheelchair-dancing show in the sanitarium’s concert hall earlier in the month. The audience was mostly made of other refugees from Donetsk and Lugansk, as well as sanitarium staff. Gracefully wheeling up and down the stage to the sound of a Ukrainian pop song, Kravchenko and his dancing partner made everyone forget for a moment their present problems: the disappearing chances for peace, the disappearing lake.